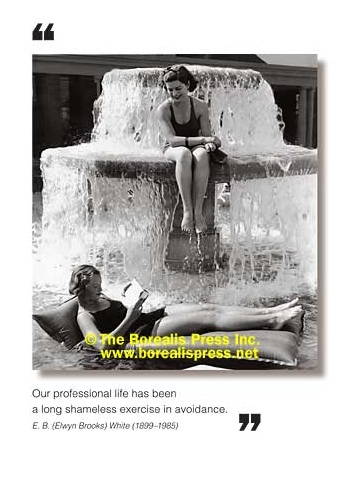 Outside: Our professional life has been a long shameless exercise in avoidance. - Elwyn Brooks White Inside: Blank. Borealis Press card measures 5 x 7 inches. Includes envelope.